Notice that the preferred options are only suggestions. It's always possible to win the game no matter where you start. Australia is an excellent secure base away from the other players. This continent is quick to conquer and easy to defend, although often it's one of the continents where most players compete. When there are 5 or 6 players, you can be sure that two or three others players will go for Australia and this could result in quick defeat and annihilation. A few (un)lucky dice rolls can make the difference as to who will win and who will lose in the beginning. It doesn't mean that you have to ignore Australia to be your target continent. In fact, it's always a decent location to place your first country pick. When armies are being placed, you might find that you can set enough troops here to guarantee its conquest. 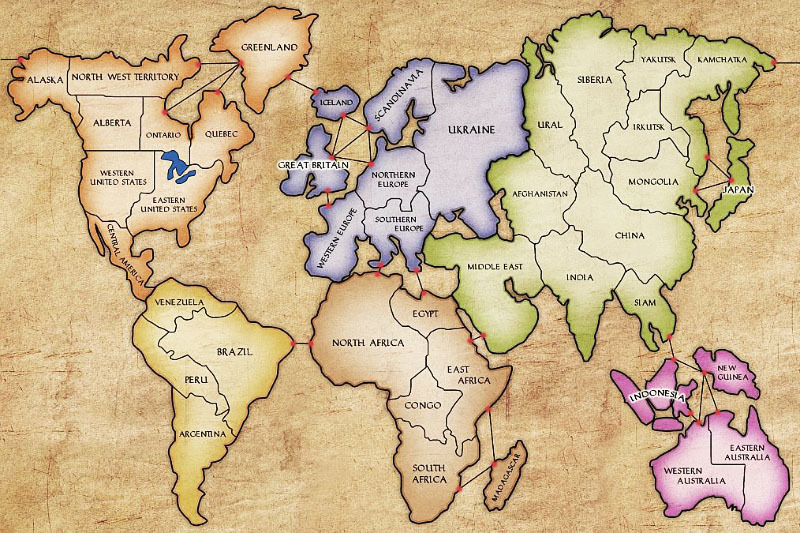 This continent also has four countries, and this makes it easier to capture. It's a little bit more difficult to hold as it's south of North America and west of Africa. Even so, it's still easy to protect because it has just two entrances. Once a player can hold South America, it's a good idea to launch assaults on North America. On the other hand, when another player holds North America, then it's tough to defend because of the 8 to 5 imbalance of armies every turn. Africa is not such a worry for South America because it earns only one extra army while that continent has even to protect more borders so the African player has too many other concerns to invade South America arbitrarily. While the continent is quite easy to conquer, it's difficult to hold because North Africa forms part of a natural invasion route that runs from the Middle East, through Southern Europe and North Africa and ends up in Brazil. As African player, you have to defend three fronts to protect against three different continents. 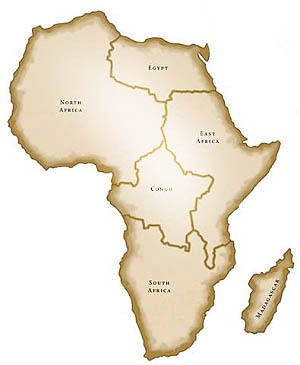 Once conquered, Africa expands slowly by first capturing the Middle East, then Southern Europe, etc. But still, because of the central location, Africa keeps always subject to big threats. That's why Africa has to turtle and build up significant defensive forces and launch only assaults when other players don't expect it. 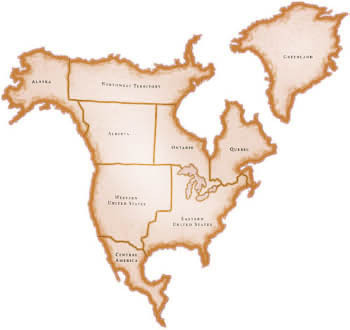 North America is a mighty continent. Once you own it, you get 5 bonus armies per turn while it has only tree border territories. It's tough to dislodge a player from North America once he establishes a strong defense. 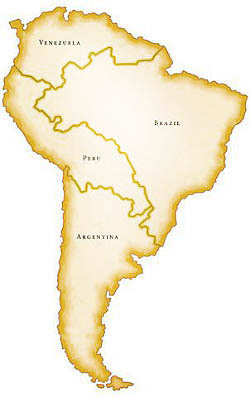 The North American player should expand through South America where he can overwhelm his opponent easy because of the 8 to 5 imbalance of armies. However, the player should also invade Europe or Asia to prevent the players there to maintain full control of their continent. Still, the North American player has early on to fear mostly South America because this player has no other option than to attack North America to survive. 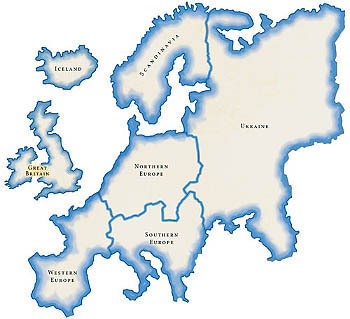 Europe is relatively easy to take, but because of its central location, and many borders, it's so hard to hold. The player conquering Europe is must be an opportunist. 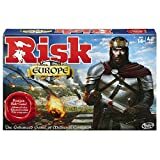 If you go for Europe, you have to conquer it quickly and use the bonus armies to secure it because permanently securing will be very hard as seven surrounding territories can attack it. 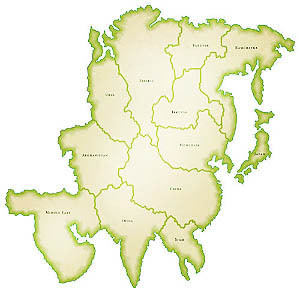 Southern and eastern Europe usually receive mutual support. As European player, you always have to maintain the balance of power because all continents (except Australia is not more than two conquered countries away. To target Asia early on is almost always suicidal. The big bonus of 7 extra armies per turn is too big for other players to allow you to hold Asia. 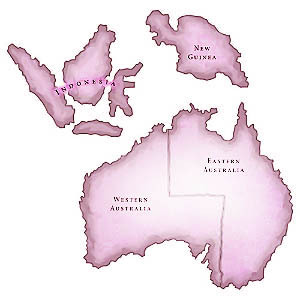 While Australia is a small continent, Asia has to fear Australia a lot because it has only one outlet through Siam. On the west side, Africa can quickly take the Middle East and hold it attacks. At the North East, North America is a real threat. And last but not least, Europe will also prevent Asia to become too powerful. Asia is often a card harvesting continent. 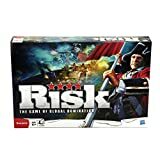 It usually has few armies occupying countries, and it's the perfect play to take a territory when only a card is wanted.